One of the important parts of growing up is learning social skills. For the Brisbane beer scene, this means beer businesses interacting with Brisbane as a whole rather than only those within the craft beer bubble. You see it in Tippler’s Tap, which started life as a hidey-hole destination for The Initiated but now exists as two venues in highly visible areas with plenty of foot traffic. You see it in Helsby’s Ale House, where a 150-year-old hotel has set up a front bar dedicated to local, independent beer. You see it in Newstead Brewing’s partnerships with the Brisbane Bullets and with Queensland Rugby, and with Archer Brewing’s partnership with the Brisbane Bandits. Slowly but surely, the good beer movement is coming out from behind closed doors, and sliding from niche towards normal. Another crucial stage of growing up is learning to speak. 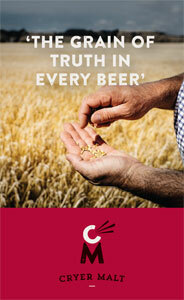 In the early days, the love of craft beer spread through word-of-mouth – “Try this. It’s an India Pale Ale. It’ll blow your mind.” While this is always going to be a powerful weapon of the movement, it can only achieve so much. To really reach the masses and push good beer into the public consciousness, the heavy lifting is going to fall to breweries. Advertising is one obvious way this can happen. Balter brought their marketing nous to bear on two videos to promote their mid-strength Captain Sensible, including bringing co-founder and pro-surfer Mick Fanning in to star as Captain Sensible. 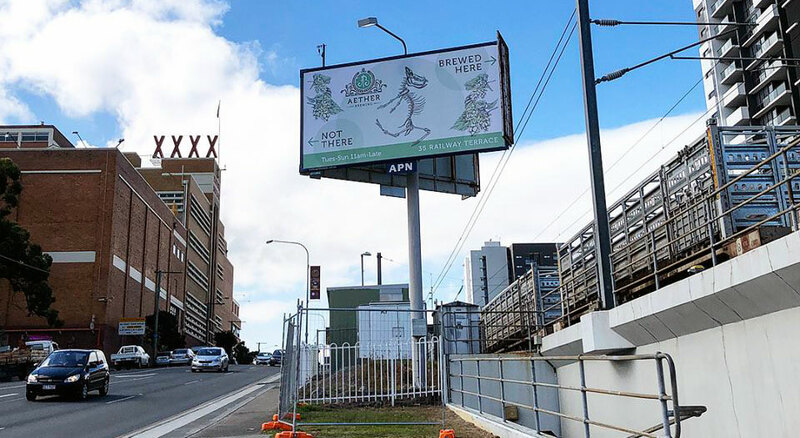 Meanwhile, Green Beacon, Newstead Brewing and Aether Brewing (see below) have all taken billboard space in Brisbane (with the latter two even managing to take cheeky digs at another Brisbane brewery in the process). But marketing – and particularly on a larger scale, which many smaller breweries feel is beyond their means – is only one way for breweries to speak to the broader beer community. A more direct approach is for breweries to set themselves up to be accessible to mainstream drinkers: with the beers they offer, the way they run their venues and events, and the way they present themselves as brands. Set to open in December 2018, Soapbox Brewing has exactly this in mind. 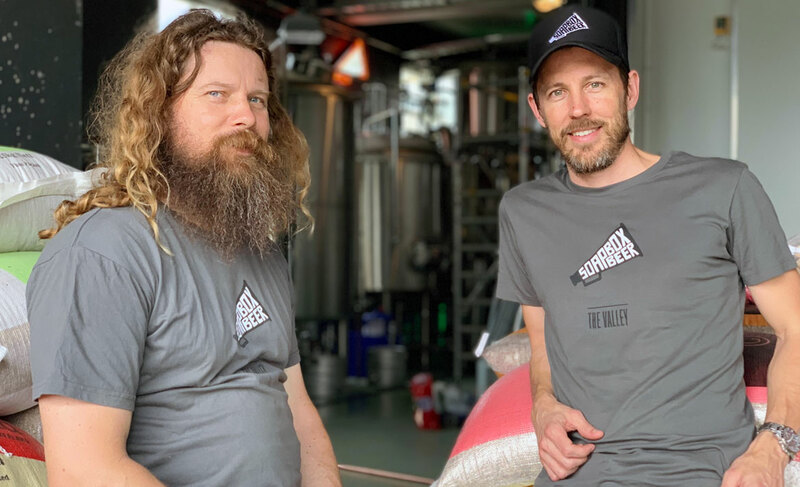 Their 20hL brewpub will be the first brewery in thriving Fortitude Valley and doesn’t have the uber-industrial feel of many of their peers, though the brewing tanks are fully visible to punters. It’s decked out in reclaimed materials: the tables are made of French hardwood that feels like your dad’s old workbench; the bar top is made from concrete slabs from the demolition works when the brewhouse was installed; and a number of the light shades are made from old kegs. It’s warm, easy on the eye, and comfortable. And the shabby-chic look is very Fortitude Valley. Soapbox Brewing's work-in-progress brewery, set to open in December 2018. The concept behind the name “Soapbox” is to stand up and use their voice to the benefit of the beer industry. When it comes to the beers, Soapbox will be offering a range of styles and flavours, while remaining accessible to new drinkers. “We’ll open with a core range of five beers, light to dark and everything in between, to cater for everyone’s palate range and where they’re at. Some easy-going beers, some more full flavoured hoppy beers, and a mid-strength. They’ll be all approachable beers. Luke Nixon and Scott Robertson of Soapbox Brewing. Soapbox won’t be alone in Fortitude Valley for long; 2019 will see the veterans at Stone & Wood join them in fighting the good fight when they open a brewery and tasting room in the Valley. Stone & Wood has a victorious history of introducing people to flavoursome beer. Their beers, especially the flagship Pacific Ale, have been key in reaching many people who had previously only been exposed to commercial lagers. And, while the original Stone & Wood brewery is in Byron Bay, South East Queensland has been the brand’s primary market. Creative and community manager Jasmin Daly says: “The Brisbane scene has been a part of our story since we began in 2008. Without the support of our Brisbane customers, many of which have been with us from the beginning, we would not be where we are now. Since first sharing their plans for the new brewery in August, they’ve been talking about using it to grow the market for good beer in Brisbane. Yet another brewery looking to spread the good news of good beer is Felons Brewing. 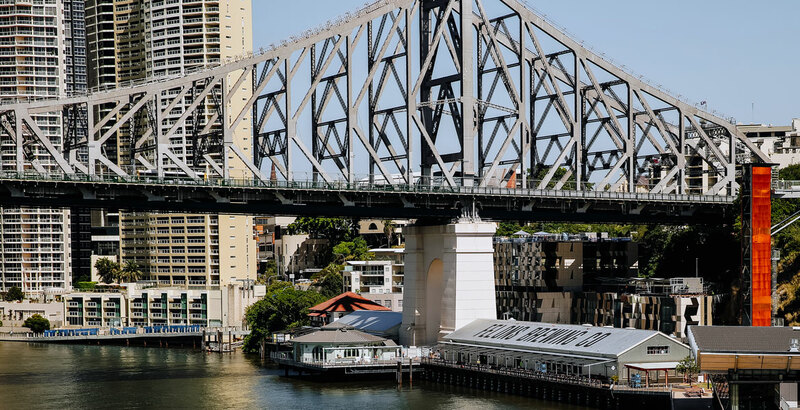 With a prime location on the Brisbane River, considerable resources and ex-Little Creatures troops heading the team, Felons has its eyes on boosting the demand for locally brewed beer in Brisbane. 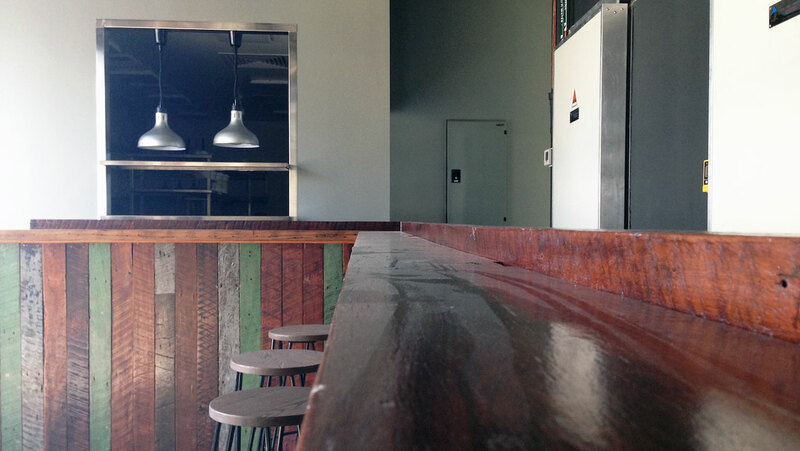 The bar at Brisbane's waterside brewery, Felons, opening this month. 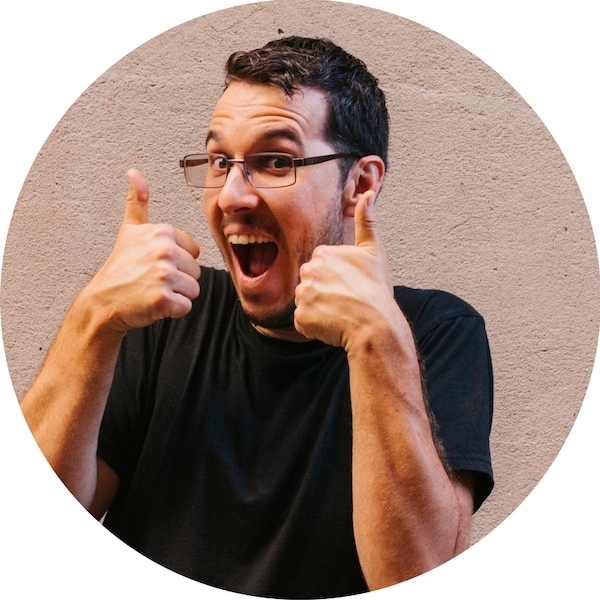 General manager Ash Cranston says: “Brisbane has a great beer scene, but still plenty of opportunity to have refreshing new conversations with relatively novice, yet passionate beer drinkers. That is refreshing after many years of talking to the converted. Felons’ venue has a 1,000-person capacity, so the staff will have no shortage of conversations. There’s also licensed parklands and hospitality space right over the water’s edge, giving the space a wide appeal and ample opportunities for Felons to use their resources to expand the market. 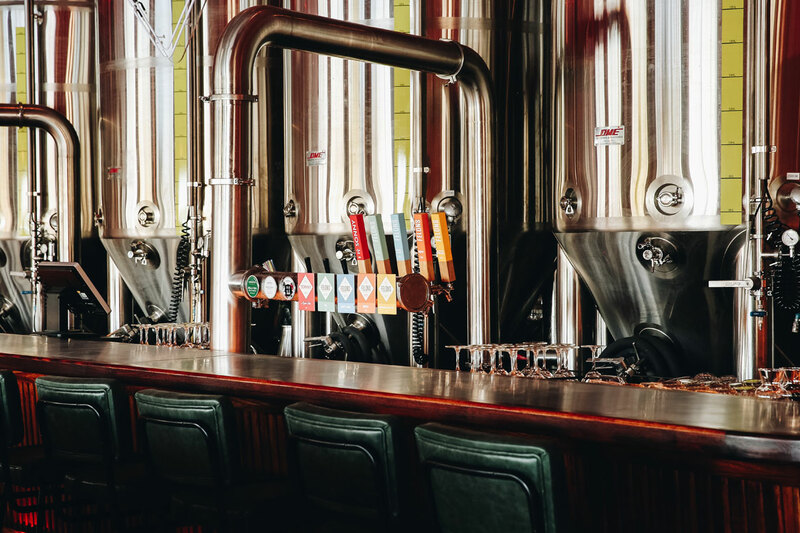 When drinkers of multinationally-owned commercial beer turn to locally owned and brewed beer, more channels open up for existing breweries, and more market space will be available for new breweries. It’s exciting to witness a new wave of breweries that see this bigger picture – as many existing Brisbane breweries do. As the beer landscape becomes more cluttered and competition grows, the age of craft breweries keeping quietly to themselves has passed. It’s time to get up on our soapbox. You can grab a sneak peek of Stone & Wood's forthcoming brewpub at the inaugural Backyard Invitational, featuring heaps of their brewing mates, masterclasses and more on October 24.